This new GX derailleur not only answers the Eagle™ drivetrain’s need for greater capacity, but it’s also the next evolution of our proven, 1x-specific X-HORIZON™ design. 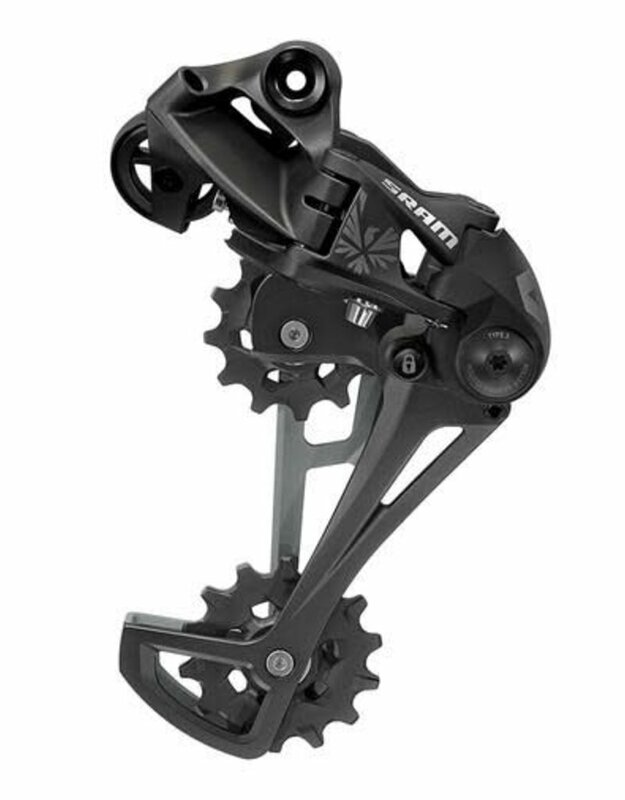 The larger, 14-tooth X-SYNC™ lower pulley allows 10- to 50-tooth cassette, and also adds to Eagle’s overall smooth-pedaling feel. Sram's new, Type-3 ROLLER BEARING CLUTCH™ features a smoother torque curve for a quieter, more consistent operation and feel. CAGE LOCK™ has been moved back and out of the way, protecting it from trail debris. 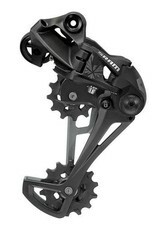 And a redesigned, robust mounting system further improves the Eagle™ derailleur’s performance and overall durability.